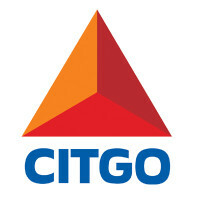 The Citgo Petroleum Corporation is an oil refining company that has been selling petroleum, other transportation fuels and other automotive related products for over a century. To find out how to apply for Citgo online, follow the link at the bottom of the page to submit your Citgo application today. Everyone knows the Citgo logo, or ‘trimark’. It has become an integral part of baseball as you can see the sign in the background of Fenway Park in Boston and it also featured in the baseball-themed movie Field of Dreams. The sign itself is also attached to Boston University, so Citgo really is part of the community. The company itself was founded by Henry Doherty back in 1910. The company has undergone some restructuring over the past century but it is now owned by PDV America, Inc which is a subsidiary of Petróleos de Venezuela. Its headquarters used to be in Oklahoma but have since been moved to the Energy Corridor in Houston, Texas. Citgo prides itself on being dedicated to not only its current employees, but also its former ones. There is an Alumni community for former employees to stay connected and to help them with access to benefits. Many retired employees still take part in community programs with the backing of the company. You will find there are a lot of job opportunities in the gas station locations. The most common positions available are Cashiers or Guest Service Representatives, Assistant Managers and Store Managers. For entry-level roles you probably won’t need much experience but it helps to have a high school diploma as well as basic math skills. There are many different types of Citgo jobs available in other departments that will require relevant degrees and specific experience and qualifications. These types of careers include jobs in Administration, Audit, Business Optimization, Engineering, Finance, PR, Health and Environment, HR, IT, Legal, Maintenance, Operations, Piping Design, Procurement, Supply and Marketing. How old do you have to be to work at Citgo? You must be at least 18 years old or over to apply for jobs at Citgo. The gas stations are open 24 hours a day, 7 days a week, although the offices will have normal business working hours. One of the main benefits of Citgo jobs, especially those in the corporate sector, is that there is a performance incentive plan in addition to your salary. Other perks include an insurance package including medical, dental, vision and life insurance as well as a 401(k) retirement plan. With Citgo careers you will also get many opportunities for further training to help you develop and advance your career. Guest Service Representative – In this entry-level position you will be working in the gas station and your main responsibilities will be to serve customers and process transactions. You will also have other duties on a day to day basis, reporting to the Station Manager. You will be expected to keep the store clean and tidy. The average pay for this role is $11/hour. Assistant Store Manager – The job description for the Assistant Manager falls somewhere between a Guest Service Representative and the Store Manager. You will assist the manager in training staff and monitoring their performance. You will also run the store when the manager isn’t there. The salary for this role can be up to $35k/year. Store Manager – As a manager you will need to ensure that the store is performing well, both in terms of staff performance and customer satisfaction. You will be responsible for hiring and training new staff as well as carrying out administrative duties including scheduling, inventory and financial duties. The salary range is between $30-50k/year. Maintenance Technician – Working in this area you will have responsibility over fixing and maintaining the pumping equipment as well as other machinery. Keeping to all necessary regulations you’ll carry out safety testing and record the results accurately. Maintenance Technicians also help with the maintenance of the facilities themselves. The salary is around $35k/year. Stand out from the other candidates by practicing some common interview questions after you submit you Citgo application. Why do you want to work here? No matter what job you apply for, you’ll probably be asked this question first. It helps to do some research on the company before so you can give a targeted answer. Have you ever disagreed with a supervisor? This isn’t a trick question, you can talk about difficult situations, but make sure you demonstrate that you’re able to handle times like these professionally and produce a positive outcome. How would you handle an angry customer? This will only be asked of you if you’re looking for employment in the retail part of the industry. If you have already been through an experience like this then describe it here. Have you ever been wrongly accused of something? Try to give professional examples and show how you can still perform under pressure and that you can handle yourself in potentially distressing situations. What is your biggest weakness? Many people are afraid of this question because they don’t want to be negative, but you can get around it by talking about how you are working on improving yourself for example through further training. For the majority of applications, those that aren’t retail-based, you can only submit your Citgo job application online. Search for Citgo jobs online and browse the different opportunities available. You can fill in the online application form and upload your resume. You can update your resume or submit it for general review if you don’t want to make a direct application for a specific position. For jobs at your local gas station you’re able to apply with your resume in person if you don’t want to apply online. You can get a free application from the manager but you’re not able to download a printable application for Citgo. You might be asked a few math questions when applying for jobs at the gas stations. The interview process for retail openings will probably be fairly short and only take one to two weeks. You might have a phone interview first followed by a meeting with the manager. Interviews will mostly focus on your availability and check that you understand the role and that you can carry out all of the required tasks. For other specialized jobs the interview process can take up to a few months and you may be asked to attend a few interviews with different people. Many interviews will consist of behavioral questions but you also may be asked questions relating to your area of expertise to demonstrate your abilities. Casey’s General Store: Casey’s General Store offers opportunities for both, beginners and experienced roles. Holiday Station: See this page for jobs at Holiday Station. Circle K: See our resource page for more information on Circle K careers. Turkey Hill: For employment at Turkey Hill visit the application page. Chevron: Chevron offers opportunities for both, beginners and experienced roles.